Avant LASIK Spa was founded on the principle of providing patients in Massachusetts and the Boston area with a new approach to vision correction. You will find that our LASIK surgeons and staff believe in the same values. 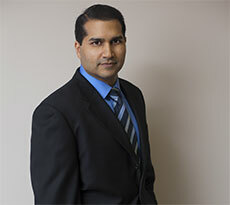 Avant LASIK Spa is thrilled to have Ophthalmologist Nilesh M. Sheth, MD, MPH as our principal refractive surgeon. Having performed over 13,000 laser vision correction procedures, Dr. Sheth is highly skilled among fellow LASIK surgeons and considered a leader in his field. Born and raised in the Detroit Metropolitan area, Dr. Sheth received his Bachelors and Masters degrees at the University of Michigan, followed by his Doctor of Medicine Degree at Wayne State Medical School, graduating with honors from all three. He completed his Ophthalmology residency at one of the prestigious Cleveland Clinic programs. Dedicated to becoming an expert in refractive surgery, Dr. Sheth is among an elite group of surgeons who continued on to fulfill a fellowship at the university where refractive surgery first began, Louisiana State. Since becoming a Board Certified Ophthalmologist as well as a Cornea & Refractive surgery specialist, Dr. Sheth has been involved in and contributed to many research studies and publications within his field. As a respected surgeon and educator, he is currently a staff member at the Massachusetts Eye and Ear Infirmary, a teaching hospital of the Harvard Medical School. Nilesh Sheth, MD believes that Ophthalmology remains a rapidly transforming field and strives to offer patients the best evaluations, treatments and procedures currently available. He uses modern techniques and devices to provide his patients with optimal results. Because of his focus on patient care while providing the best possible visual results, friends, family, and even colleagues have trusted their vision to Dr. Sheth. His most notable patients include U.S. Senator Scott Brown, Boston Celtics great Jo Jo White as well as actor John Fiore (Law & Order and The Sopranos). Ever since I was young, I always had an interest in both the scientific aspect of medicine and the benefit and satisfaction of helping people. I enjoy coming to work every day and I am very passionate about my work. Avant LASIK Spa has developed an open-access policy allowing outside ophthalmologists to perform surgeries within our surgery center. If you are a refractive surgeon interested in using this option, please contact our Center Director, Katherine Budinger at 781-995-1269.